Please note that a £100 damage deposit is taken prior to stay. It is expected that the chalet is left reasonably clean and tidy with all rubbish removed and all crockery , cutlery, pans etc washed and put away. Entertainment Passes are available if required and cover entrance to swimming pools. entertainment etc. 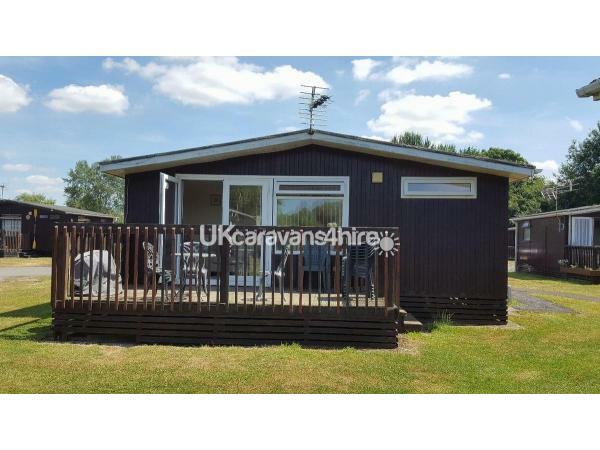 The chalet is situated in a nice quiet area of the park with parking right outside and the lake a stones throw away. 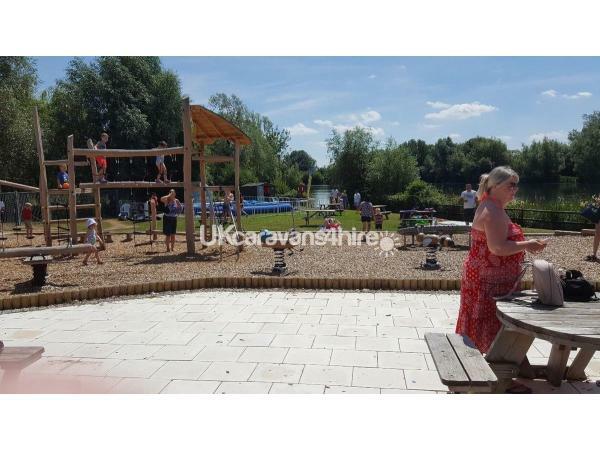 The main park facilities are a short walk away with tennis courts, crazy golf, indoor and outdoor swimming pool (summer), restaurant, entertainment for children and adults + loads of local attractions. There is even a 18 hole golf course (South Cerney) a short drive away with discounted tee times for anyone staying on the site. 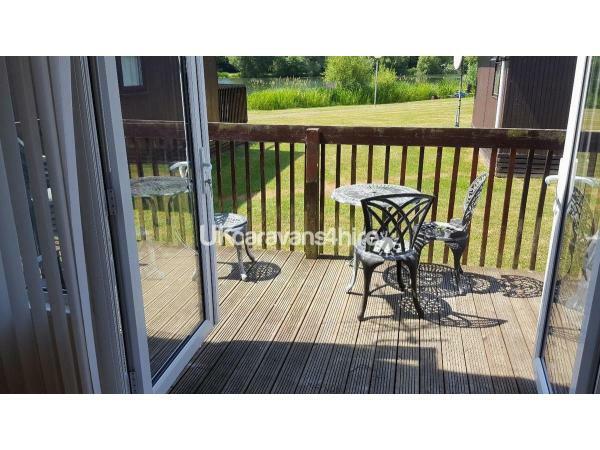 The Chalet has 2 bedrooms, Living room/Dining area with a fully fitted kitchen and a sundeck that overlooks a lake where you can fish (need a standard fishing licence) or simply watch the wildlife. 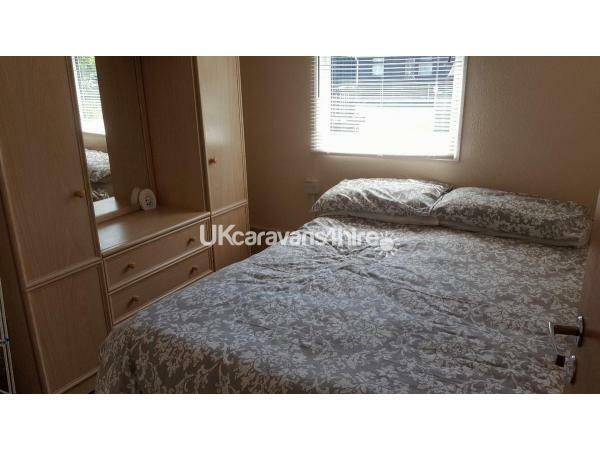 There is a double bed in the one bedroom. The 2nd bedroom has triple bunkbed with a double bed on the bottom and single on top so able to sleep 3. Further sleeping in Living Room on settee if needed. The living room has a 2 seater and a 3 seater settee, TV, DVD Player and a dining table and chairs. The kitchen is fully fitted with what you would expect, cooker, fridge, kettle, microwave, toaster etc. Bedding is supplied but not Towels unless specifically requested and a small extra charge is made for these. Baby Cot and Highchair can be provided if requested. Fishing lakes with Carp, Tench, Pike etc. 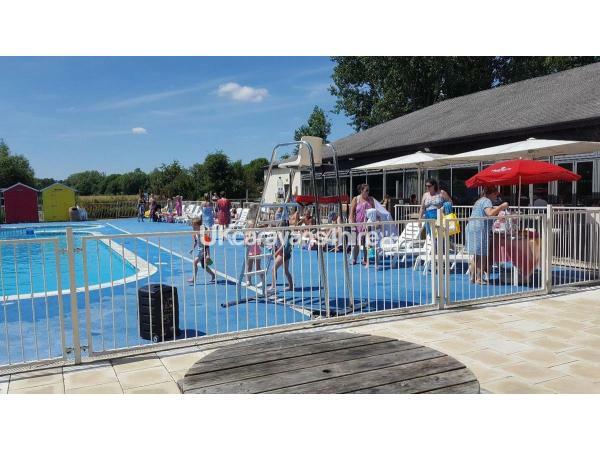 Entertainment passes are required to use the facilities (swimming pool/clubhouse etc) Costs in Low Season for up to 4 nights £7/adult, £5 child or for a week £10 and £8 respectively. In the high season it is £10/adult and £8/child for up to 4nights. £15 and £10 child for a full week. These are optional but may need to be paid for in advance depending on site policy. Additional Info: Everything you would expect from a great holiday park and for Dad's we even have a fishing lake right outside the chalet. No reviews found. If you have recently stayed in this holiday home please leave a review, it only takes a few moments and will really help future guests when they are searching for holiday accommodation at Hoburne Cotswold.